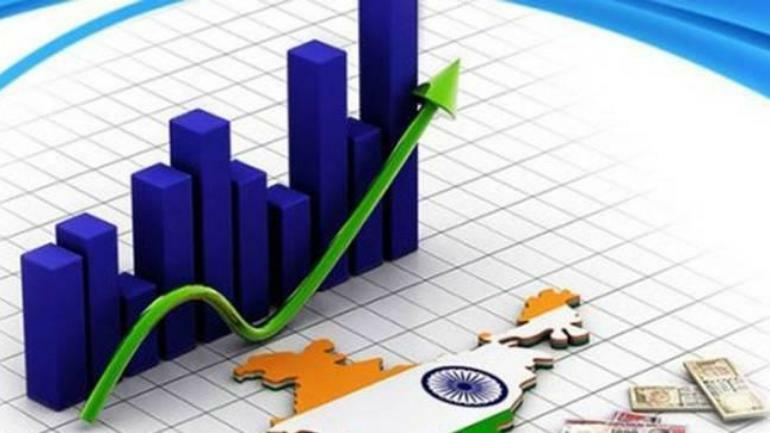 The International Monetary Fund (IMF) on Tuesday fore casted a growth rate of 7.3 per cent for India in the current year of 2018 and that of 7.4 per cent in 2019. “India’s growth is expected to increase to 7.3 per cent in 2018 and to 7.4 per cent in 2019 (slightly lower than in the April 2018 World Economic Outlook [WEO] for 2019, given the recent increase in oil prices and the tightening of global financial conditions), up from 6.7 per cent in 2017,” the IMF said in its latest World Economic Outlook report. This acceleration, the world body said, reflected a rebound from transitory shocks (the currency exchange initiative and implementation of the national Goods and Services Tax), with strengthening investment and robust private consumption.India’s medium-term growth prospects remain strong at 7¾ per cent, benefiting from ongoing structural reform, but have been marked down by just under ½ percentage point relative to the April 2018 WEO, it said. If projections are true, then India would regain the tag of fastest growing major economies of the world, crossing China with more than 0.7 percentage point in 2018 and an impressive 1.2 percentage point growth lead in 2019. China was the fastest growing economy in 2017 as it was ahead of India by 0.2 percentage points. For the record, the IMF has lowered the growth projections for both India and China by 0.4 per cent and 0.32 per cent, respectively, from its annual April’s World Economic Outlook. Released in Bali during the annual meeting of the IMF and the World Bank, the IMF’s flagship World Economic Outlook said its 2019 growth projection for China is lower than in April, given the latest round of US tariffs on Chinese imports, as are its projections for India. In China, growth is projected to moderate from 6.9 per cent in 2017 to 6.6 per cent in 2018 and 6.2 per cent in 2019, reflecting a slowing external demand growth and necessary financial regulatory tightening, the report said. The 0.2 percentage point downgrade to the 2019 growth forecast is attributable to the negative effect of recent tariff actions, assumed to be partially offset by policy stimulus, it said. Over the medium term, growth is expected to gradually slow to 5.6 per cent as the economy continues to make the transition to a more sustainable growth path with continued financial de-risking and environmental controls, it noted. “Looking ahead, renewed impetus to reform labour and land markets, along with further improvements to the business climate, are also crucial,” it said. According to the World Economic Outlook, in India, reform priorities include reviving bank credit and enhancing the efficiency of credit provision by accelerating the cleanup of bank and corporate balance sheets and improving the governance of public sector banks. In India, a high interest burden and risks from rising yields require continued focus on debt reduction to establish policy credibility and build buffers. It also said inflation in India is on the rise, estimated at 3.6 per cent in fiscal year 2017/18 and projected at 4.7 per cent in fiscal year 2018/19, compared with 4.5 per cent in fiscal year 2016/17, amid accelerating demand and rising fuel prices. The report said that aggregate growth in the emerging market and developing economy group stabilised in the first half of 2018. Emerging Asia continued to register strong growth rate, supported by a domestic demand-led pickup in the Indian economy from a four-year-low pace of expansion in 2017, even as activity in China moderated in the second quarter in response to regulatory tightening of the property sector and non-bank financial intermediation, it said.